Cayetano said tourism is down because media is always reporting the killings triggered by the De Lima Senate inquiry on extrajudicial killings. Now she is demoted, but I think media will still report every significant events every day. If the killings continue, so will the reports. Any sensible tourist will choose Thailand, Taiwan, Vietnam, Hong Kong, China if they want relief from stress and have a good time. In the Philippines, a tourist has a good chance of seeing a riding-in-tandem execution even in broad daylight, or a procession of policemen going house to house as part of Operation Tokhang, or during a nighttime stroll see vigilantes pulling a suspect out of his house and pumping several bullets into his head and body. An early morning stroll can offer a surprise in the form of cadavers wrapped in packing tape, hands tied, and a cardboard signs beside the corpses, and the tourist will say, "Wow! Only in the Philippines!" or "Honey, take a picture of this blood spatter on my arm." I never thought I can feel sympathy for someone like De Lima, but evil men can make her appear in a positive light. Duterte and her stamp-pad Senate and House of Representathieves may be able to constrain her, but the truth will struggle out as long as there are decent citizens left. So far, it has been established that a four-year-old girl was gunned down with her father recently. Duterte and General Bato consider her a collateral damage; but it is, legally and morally, murder. This administration, like the Martial Law regime, is recruiting the evil elements in the AFP and PNP to do its savage policy. 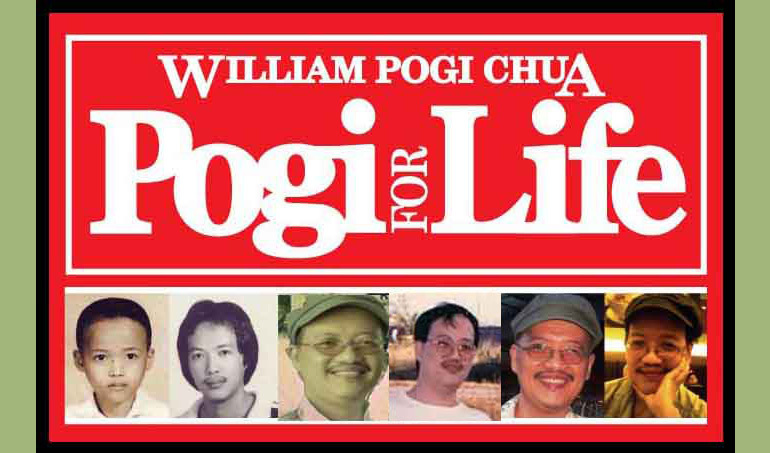 After Duterte leaves, these killers will be left behind, used to impunity from any system of justice, waiting for Marcos Jr. to resume his father's plunder, tortures, and murders. There are times when I succumb to the thought of: "If the Filipinos are ignorant enough to enslave themselves under tyrants and thieves, they deserve the fruits of the seeds they sow." Then I hope some intelligent men in government and in the armed services will rise and protect us, but then I realize that I cheered for Duterte just a few months ago, and Aquino in 2009 because he would not steal like Arroyo, and Arroyo in 2001 because she replaced the corrupt Estrada, and Ramos in 1992 because the cronyism of Cory would end, and Cory because I thought she put an end to the Marcos dynasty. EDSA 1986 was a sham, though the Marcoses were temporarily dislocated. We cheered Enrile and the RAM boys and other military men, not realizing that they were the executors of Martial Law. Honasan, Kapunan, Matillano, Bibit, even PC Major General Fidel Ramos, and the good Panfilo Lacson were involved in torturing dissidents and making desaparecidos of thousands of young Filipinos still lost in unknown graves. We saved our torturers and killers from Marcos, and here we are now -- the president is a rabid Marcos loyalist like Estrada, who is mayor of the rich city of Manila, whose son from a mistress (now mayor of San Juan) is a senator like Marcos Jr., whose thieving mother is congresswoman of Ilocos Norte, where his sister is governor. Marcos first cousin ex-President Fidel Ramos, who failed to settle the Mindanao dispute, is now negotiating with China about territorial rights. And Duterte has recently negotiated with terrorists and freed one hostage in exchange for P50 million, which will certainly encourage more abductions in the lucrative trade which the president has revived. Was the Davao night market blasts financed by the ransom money? I hope not. Wait and see. Last night De Lima was demoted and it made the evening news, but the police killings also were reported. Cayetano thinks when reports of the killings stop, the tourists will flock in. 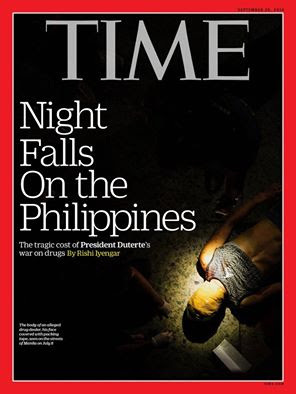 The only way to stop the news reports is to stop the bloodbath, but Duterte's pet project shows no sign of abating. I hope there is a heaven, because it follows that there will be hell. And those that made a hell-on-earth of this country will have a certain destination, hot and bood red.